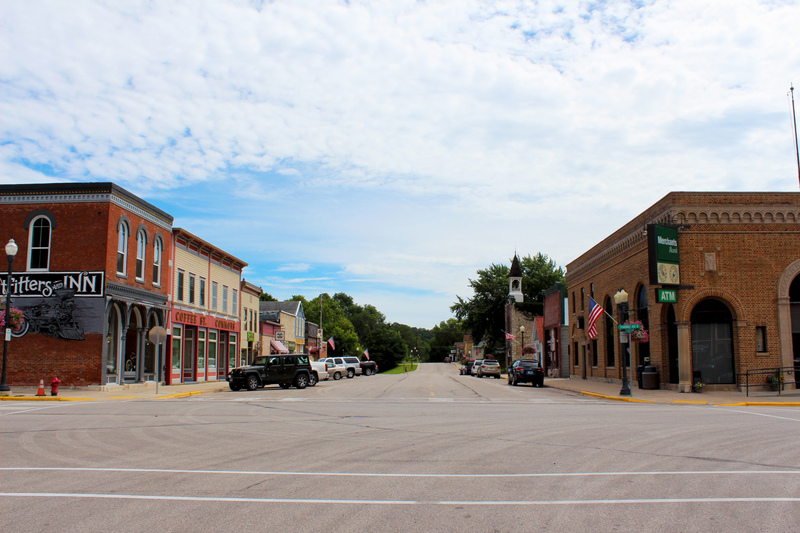 Lanesboro, sometimes called the “Magical Hamlet,” is a thriving southeastern Minnesota community that has become a destination for hundreds of thousands of visitors. It’s an old town by Midwestern standards, settled in 1856. But its redo as a tourist draw dates only to the 1970s and owes much to the wisdom of converting an abandoned rail line into a bicycle trail. The town is nestled into the Root River Valley and surrounded by idyllic rolling countryside and rocky bluffs. It had been a busy milling community in the 1870s, when most of the downtown commercial district that remains today was built. A century later, most of the historic buildings were in disrepair and an old theater stood dark. The Milwaukee Road, which had closed its line through town, sold its 1870 depot. A citizens group used the depot’s reconstruction as a catalyst for cultural and commercial revitalization. Members formed a task force, knocked on doors, held town meetings. City government, local nonprofit organizations, and private individuals adopted a collaborative plan focusing on the region’s natural beauty, the arts and historic preservation. Around the same time, the Minnesota Department of Natural Resources (DNR) obtained the old railroad right-of-way with plans to convert it to a recreational trail: a 60-mile paved route which would meander along the Root River through picturesque limestone bluffs and the small towns—including Lanesboro. Lanesboro’s remarkable comeback as a livable rural community can be traced to pairing the town’s natural and cultural assets to accessibility. Today, people arrive by bicycle, canoe and even cross country ski along the Root River State Trail. 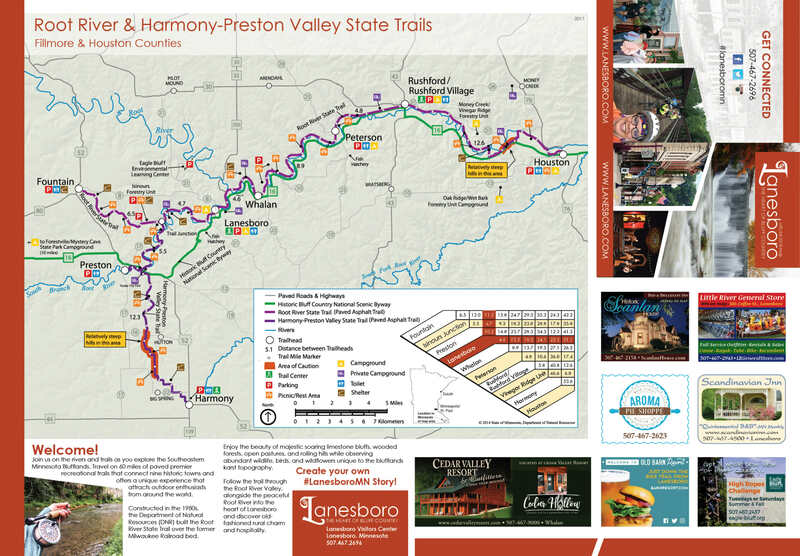 Once in town, it’s an easy walk to the Commonweal Theatre, the Lanesboro Arts Center, the local history and natural history museums, farmers market, or art galleries, restaurants and bed-and-breakfasts. 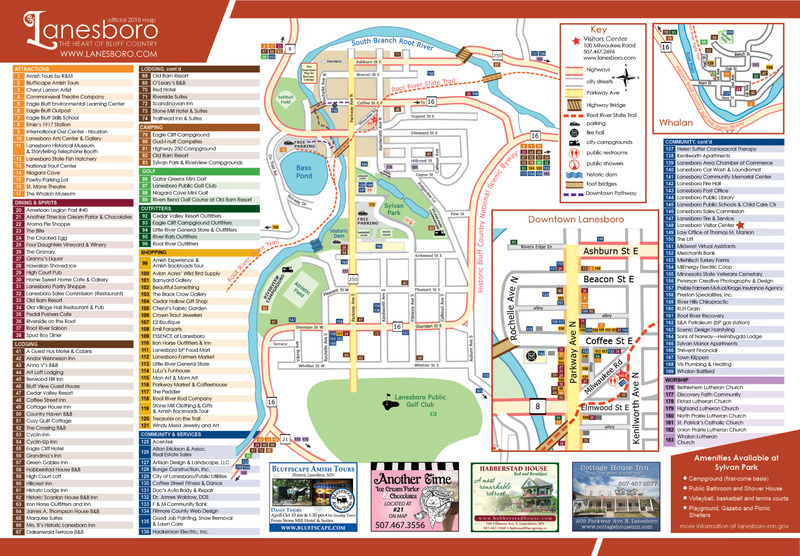 Lanesboro has emerged not only as a tourist spot, but with a diverse economy based on agriculture, manufacturing and the arts. Interested in moving to Lanesboro? Check out information on relocation and business opportunities.